There are numerous basic electronic components that are used for building electronic circuits. Without these components, circuit designs are never complete or didn’t function well. These components include resistors, diodes, capacitors, integrated circuits, and so on. Some of these components consists of two or more terminals which are soldered to circuit boards. Some may be packaged type like integrated circuits in which different semiconductor devices are integrated. Here is a brief overview on each of these basic electronic components and you can get in depth information by clicking links attached to each component. 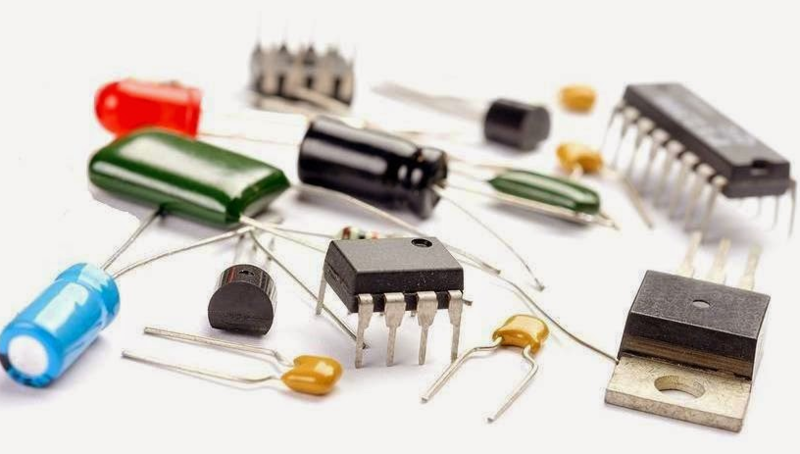 An electronic circuit comprises of various types of components, which are classified into two types: active components like transistors, diodes, IC’s; and passive components like capacitors, resistors, inductors, etc. Basic electronic components: capacitors, resistors, diodes, transistors, etc. Power sources: Signal generators and DC power supplies. Measurement and analysis instruments: Cathode Ray Oscilloscope (CRO), multimeters, etc. These components can store or maintains energy either in the form of current or voltage. Some of these components are discussed below. Resistors are further classified based on the following specifications such as the power rating, type of material used and resistance value. This resistor types are used for different applications. This type of resistor is used to set the right conditions in an electronic circuit. The values of resistance in fixed resistors are determined during the design phase of the circuit, based on this there is no need to adjust the circuit. A device that is used to change the resistance according to our requirements in an electronic circuit is known as a variable resistor. These resistors comprise of a fixed resistor element and a slider which taps on to the resistor element. Variable resistors are commonly used as a three terminal device for calibration of the device. A capacitor made from two conductive plates with an insulator between them and it stores electrical energy in the form of an electric field. A capacitor blocks the DC signals and allows the AC signals and also used with a resistor in a timing circuit. These capacitors are different types like film, ceramic, electrolytic and variable capacitors. For finding its value number and color coding methods are used and it also possible to find the capacitance value with LCR meters. An inductor is also referred as AC resistor which stores electrical energy in the form of magnetic energy. It resists the changes in the current and the standard unit of inductance is Henry. Capability of producing magnetic lines is referred as inductance. The inductance of the inductor is given as L= (µ.K.N2.S)/I. And I is the Length of the coil in axial direction. Other passive electronic components include different types of sensors, motors, antennas, memristors, etc. To reducing the complexity of this article few of the passive components are discussed above. These components rely on a source of energy and are able to control the electron flow through them. Some of these components are semiconductors like diodes, transistors, integrated circuits, various displays like LCD, LED, CRTs and power sources like batteries, PV cells and other AC and DC supply sources. A diode is a device that allows current to flow in one direction and usually made with semiconductor material. It has two terminals, anode and cathode terminals. These are mostly used in converting circuits like AC to DC circuits. These are are of different types like PN diodes, Zener diodes, LEDs, photo diodes, etc. 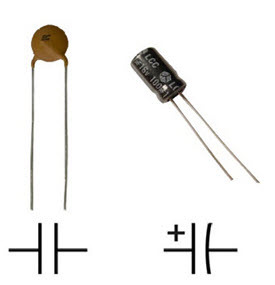 A transistor is a three terminal semiconductor device. Mostly it is used as switching device and also as an amplifier. This switching device can be a voltage or current controlled.By controlling the voltage applied to the one terminal controls the current flow through the other two terminals. Transistors are of two types, namely bipolar junction transistor (BJT) and field effect transistors (FET). 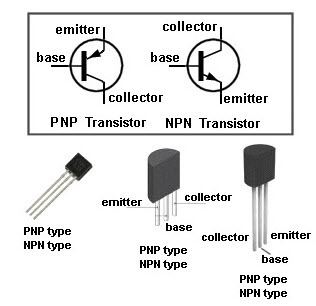 And further these can be PNP and NPN transistors. An Integrated circuit is a special component which is fabricated with thousands of transistors, resistors, diodes and other electronic components on a tiny silicon chip. These are the building blocks of current electronic devices like cell phones, computers, etc. These can be analog or digital integrated circuits. Mostly used ICs in electronic circuits are Op-amps, timers, comparators, switches ICs and so on. These can be classified as linear and nonlinear ICs depending on its application. LCD: A liquid crystal display (LCD) is a flat display technology, which is mostly used in applications like computer monitors, cell phone display, calculators, etc. This technology uses two polarized filters and electrodes for selectively disable or enable the light to pass from reflective backing to the eyes of the viewer. 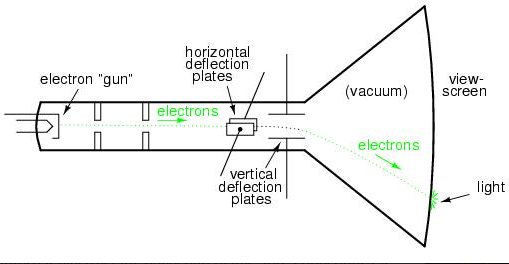 Cathode ray tube display technology is mostly used in televisions and computer screens that works on the movement of an electron beam back and forth on the back of the screen. 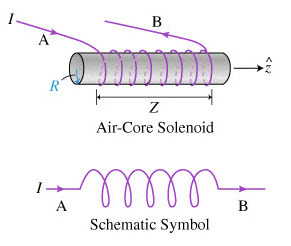 This tube is an elongated vacuum tube in which flattened surface has external components as electron gun, electron beam and a phosphorescent screen. Batteries are most common power source for standalone industrial, domestic and handheld device applications. It converts chemical energy into electrical energy through electrochemical discharge reactions. These consist of one or more cells and each cell contains an anode, cathode and the electrolyte. The battery cells are classified into two types namely primary cells and secondary cells. 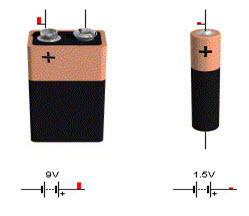 The primary cells are not of rechargeable type but the secondary cells cab be rechargeable. These are the few basic electronic components with a brief explanation on attached links. Along with electronic components symbols, reader might have got a basic idea about these components. We are pioneers in developing electronics projects using these basic components with advanced controllers.Therefore, readers can comment below regarding any help for testing these components and practical assembling into electronic circuits. Next › What is the Difference Between Transmitter and Transducer? Thanks for this details it’s really wonderful and easily to understand for beginners.